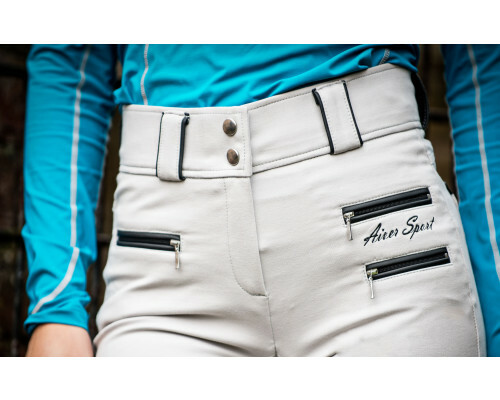 If you are looking for an extra confidence boost to take your riding to a whole new level, these breeches are for you. Particularly appreciated by riders with young or energetic horses, these breeches aren’t just good looking and comfortable, they’re highly innovative as well. The gel patches give you the grip and support you need and stay in place wash after wash. These rubbery patches are truly unique and give you the saddle bond you need to fill you with the confidence you’re looking for to take your riding up a notch. These unique Aiver Sport 4D-Gel Breeches come with 4-way stretch which gives you a firm, comfortable and supportive hold. Complete with high waist, figure flattering seat and rider-friendly knees, they deliver maximum leg mobility and comfort. Add to this the comfy lycra ankle and you start to see why these breeches fly off the shelves as fast as we can stock them. 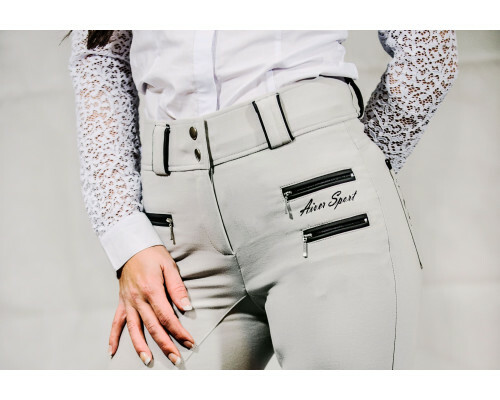 If you’re someone who’s on the lookout for an extra boost of confidence, yet insists on great looks at the same time, these breeches are for you. 4D-Breeches are also nominated for British Equestrian Innovation Award 2018! The measurements in the guide are taken without stretching the fabric and our Top Tip is to buy the size that matches your actual measurements. Fantastic breeches, beautiful fit and very elegant. Really happy with them.